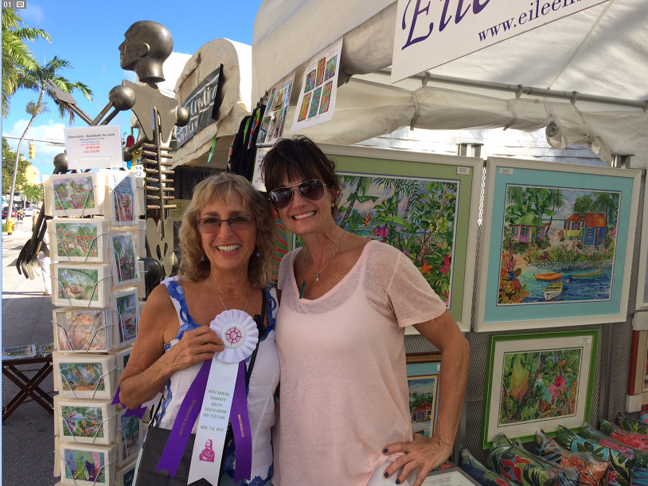 I was awarded a purple and white ribbons this morning from Mary Scott of the Chamber South – South Miami Art Festival. It was a great moment for me, being the Festival Poster Artist as well.. 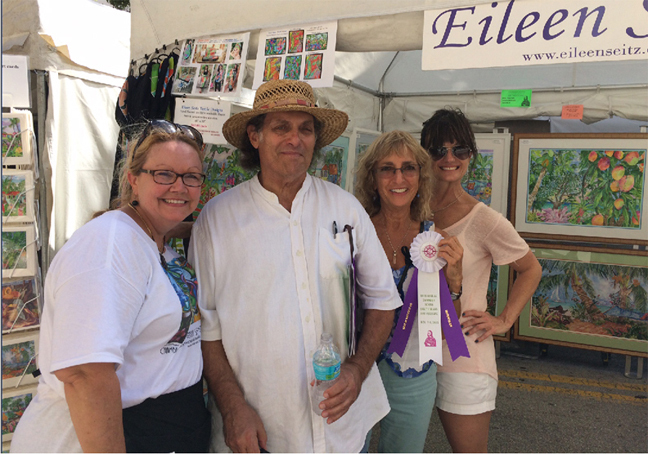 Here we are this morning in my booth.